I have been here once. Now, I really want to go back. 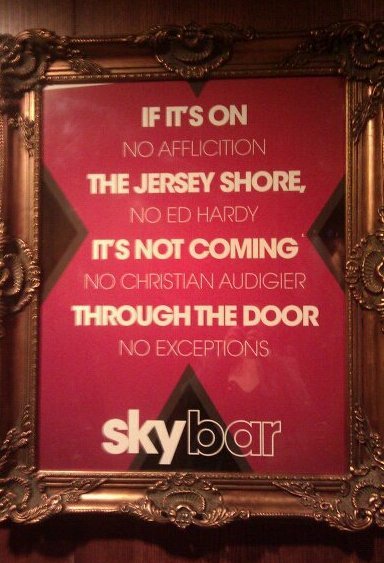 Posted on March 31, 2011, in My World, USA and tagged affliction, christian audinger, ed hardy, gorillas, GTL, jersey shore, skybar. Bookmark the permalink. Leave a comment.